From now until 11/30/2017 HAVE LLC is collecting non-perishable food items for families in need. Want to help us out? 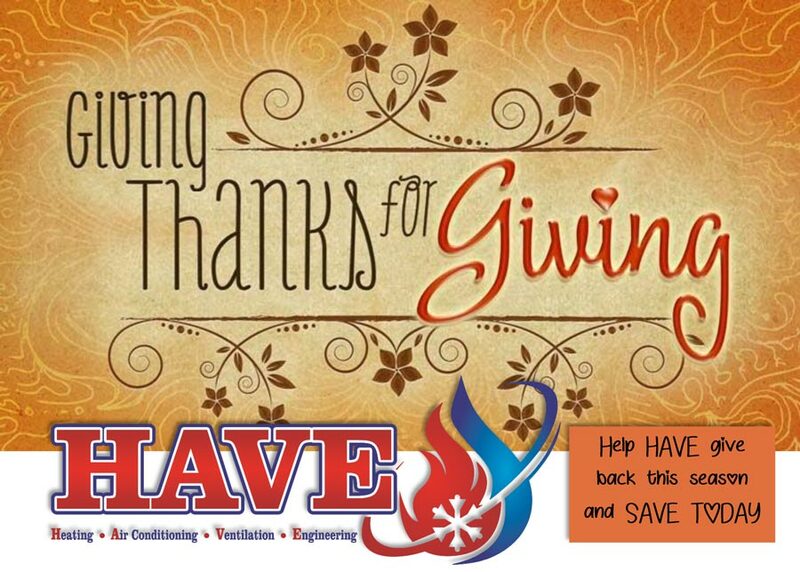 Donate up to 5 non-perishable food items and receive up to $5 off today’s invoice (a savings of $1 per item). Plus, for every customer who donates, HAVE LLC will donate $5 to the food drive too! The Vine; which is Eagleville Bible Church’s Food Pantry, their many volunteers, and the families in need this holiday season, thank you for helping. We’ve been in the Ashtabula & the surrounding areas since 1975. If you’ve received a quote from another HVAC company and would like a second opinion, we are happy to provide that for you for no extra cost. In addition to our unmatched residential HVAC services, HAVE, Inc. Heating & Air Conditioning provides commercial services. Call us today at 440-998-7252 to get started! Established in 1975, HAVE, Inc. Heating & Air Conditioning has continued to expand, increasing the scale of the projects we handle and the size of our professional staff. As the leading contractor in Ashtabula & the surrounding areas, we answer a wide range of industrial, commercial, and residential needs, including heating, cooling, ventilation, and engineering. Rather than rely on our well-established reputation for expert and affordable services, we prefer to advance and improve in every way possible. We’ve streamlined response and turnaround time, remaining current with evolving technology, products, and strategies, and deliver the benefits to you. 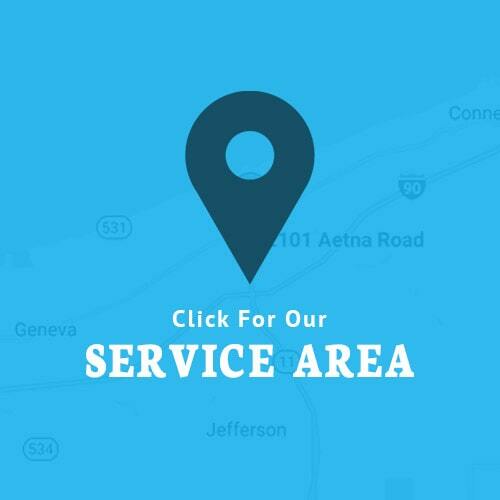 HAVE features the largest sheet metal fabrication shop anywhere across Ashtabula, OH, Madison, OH, Conneaut, OH, Jefferson, OH, North Kingsville, OH, Geneva, OH. Our 3,000+ square foot fabrication center accommodates a wide range of projects, from customized ductwork and architectural requirements to industrial ventilation systems and gutters and more. Every job – industrial, commercial, or residential – is completed to strict timetables, levels of quality, and in an organized fashion that protects your best interests and investment. With HVAC service, repairs, and installations, you’ll be comfortable all year long! Through a broad range of specialties, including the installation, maintenance, and repair of all types of HVAC and air quality systems, we not only resolve challenges but improve everyday operations. Contact HAVE for convenient scheduling, further information, and expert services. Committed to Growth. Dedicated to Quality.